Nova Scotia, province of eastern Canada, consisting of a mainland peninsula, Cape Breton Island, and numerous small islands. The peninsula is connected to the mainland by the isthmus of Chignecto. 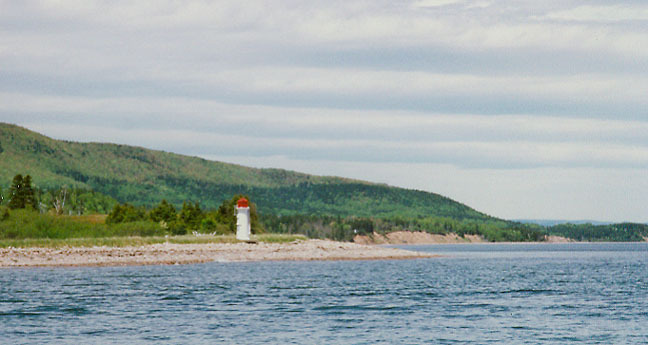 Cape Breton Island is separated from the peninsula by the Strait of Canso. Nova Scotia is one of the Maritime provinces, along with Prince Edward Island and New Brunswick; it is also one of the Atlantic provinces (the Maritimes plus Newfoundland). Halifax is Nova Scotia's capital and largest city. The first attempt by the French to establish a permanent settlement in Canada took place in Nova Scotia at Port Royal (now Annapolis Royal). Nova Scotia was known to the French as Acadia, possibly after the Mi'kmaq word meaning "plenty." The 19th-century American poet Henry Wadsworth Longfellow immortalized the land in his poem Evangeline, which, in a mixture of fact and fancy, concerns itself with the life of the Acadians, who were forced to flee Acadia by the British. "Nova Scotia" is the Latinized form of New Scotland and was the name given by the British. Louisbourg, former town on Cape Breton Island in eastern Nova Scotia, Canada. 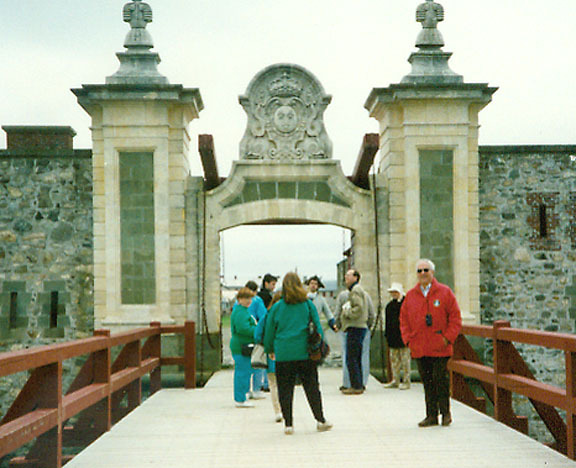 Louisbourg was the site of an important fortress in New France during the 18th century. 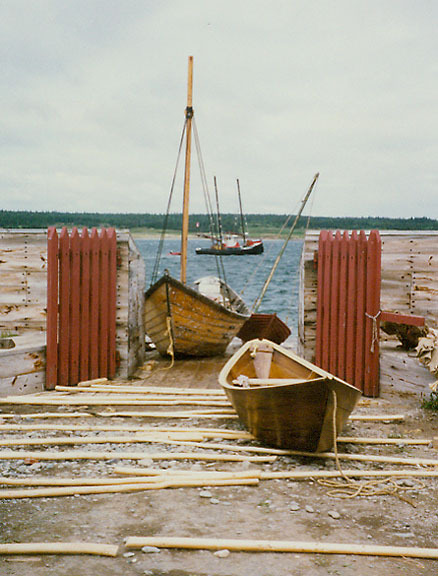 Today the restored fortress and its surroundings form Canada's largest national historic site, and the settlement is a center for fishing, fish processing, and tourism. 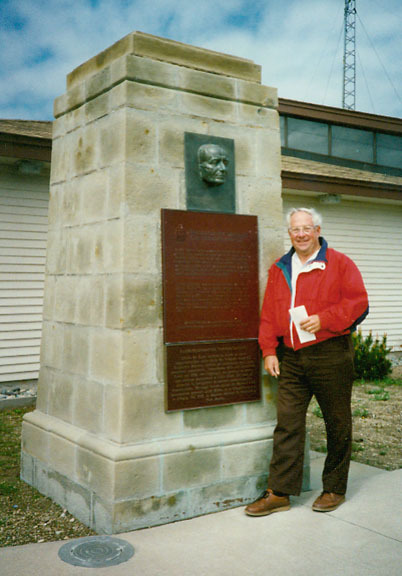 Louisbourg (spelled Louisburg from 1758 to 1966) had its own mayor and town council from 1901 to 1995. In 1995 eight towns in Cape Breton County were incorporated into the Cape Breton Regional Municipality, which had a population of 114,733 people in 1996 and is run by a popularly elected council consisting of a mayor and 21 councillors. The modern settled area of Louisbourg is located on the northeastern side of Louisbourg harbor. The reconstructed Fortress of Louisbourg is on the original site of the town, on the harbor's southwestern side. About 20 percent of the 18th-century fortified town now stands as it did in 1744. 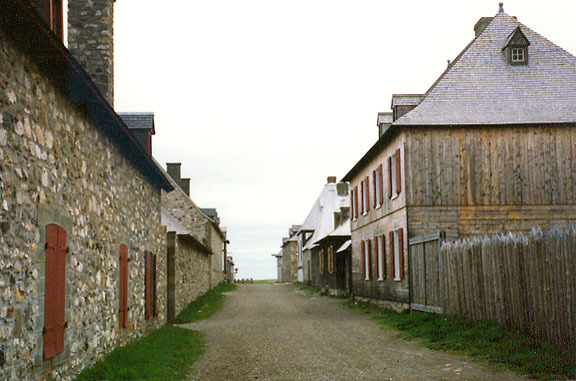 Within the reconstructed Fortress of Louisbourg, ramparts, streets, and households recreate the look and feel of an 18th-century town. Approximately 60 buildings have been reconstructed, including the massive King's Bastion, which at the time of its construction in the early 18th century was one of the largest buildings in North America. The King's Bastion contains the governor's apartments, the chapel, and the soldier's barracks. 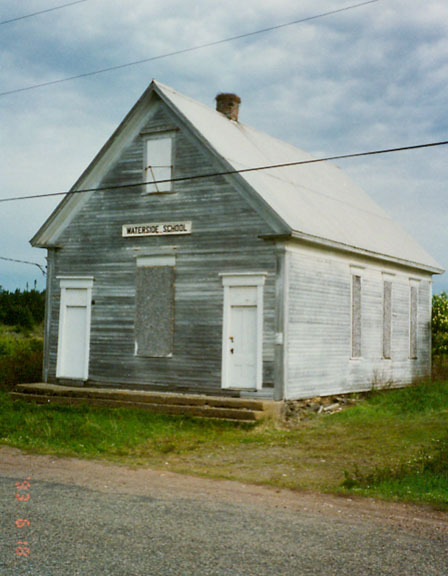 Other buildings include civilian houses, a garrison bakery, storehouses, powder magazines, and guardhouses. 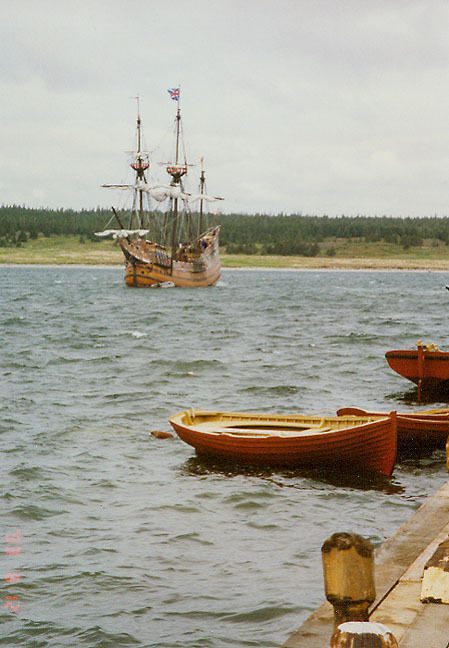 Although French fishermen began coming to Cape Breton Island in the 16th century, the French did not settle permanently at Louisbourg until the early 18th century. In 1713 the French founded the colony of Isle Royale, which included Cape Breton and Prince Edward islands; the capital of the new colony was Louisbourg, named for French King Louis XIV. In 1717 the French began construction of the Fortress of Louisbourg, the largest fortress of its type in North America. Louisbourg's massive fortification, based on the geometric style of Sébastien Le Prestre de Vauban, was intended to resist attack from the sea. Louisbourg, however, was vulnerable to attack from the rear. In 1745, during King George's War, Louisbourg was captured by a force of 4,000 New Englanders. The fortress was later returned to the French by the Treaty of Aix-la-Chapelle, but Louisbourg was conquered again in 1758 by a British force of 27,000 troops during the Seven Years' War, a worldwide conflict that was called the French and Indian War in its North American phase. After capturing the fortress, the British blew up the fortifications and removed their garrison from the town. By 1785 there were only about 1,500 people remaining on all of Cape Breton Island. 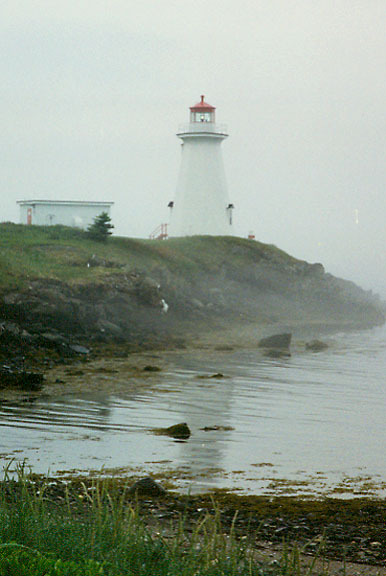 Nova Scotia is the second smallest Canadian province (only Prince Edward Island is smaller). Nova Scotia is about 560 km (about 350 mi) long, averages 110 km (70 mi) in width, and has an area of 55,490 sq km (21,425 sq mi), including 2,650 sq km (1,023 sq mi) of inland water. No part of the province is more than 80 km (50 mi) from a large body of water. 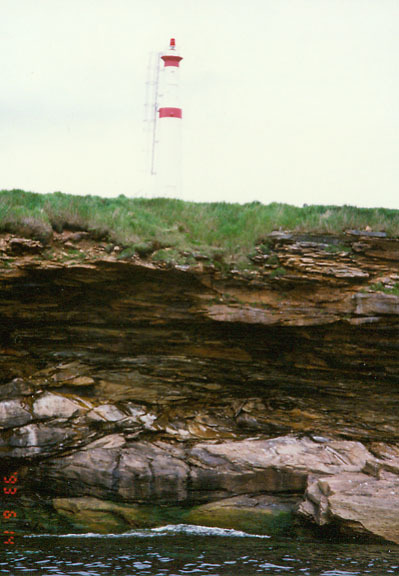 The Atlantic shore of Nova Scotia is deeply indented with many small harbors. It is a good example of a drowned coastline, the land having been depressed by the weight of the ice during the last glacial period. Halifax and Lunenburg, centers of the fishing industry, are located on deep inlets on the coast. The tides of the Bay of Fundy are among the highest in the world. The difference between high tide and low tide may be as much as 16 m (53 ft). Excellent fishing banks lie a few miles offshore, and Nova Scotians have long turned to the sea for their livelihood. The principal species harvested from Georges Bank (the closest fishing bank to Nova Scotia) is cod. The waters of Northumberland Strait and the Bay of Fundy are rich in lobsters and scallops, which are the most valuable catches of Nova Scotia fishers. Other important catches are haddock, herring, and pollock. Nova Scotia is the home base for a large fleet of diesel trawlers that work the banks. Fish are sold fresh, frozen, dried, salted, smoked, pickled, and canned, as bait and meal, or processed into industrial and vitamin oils. 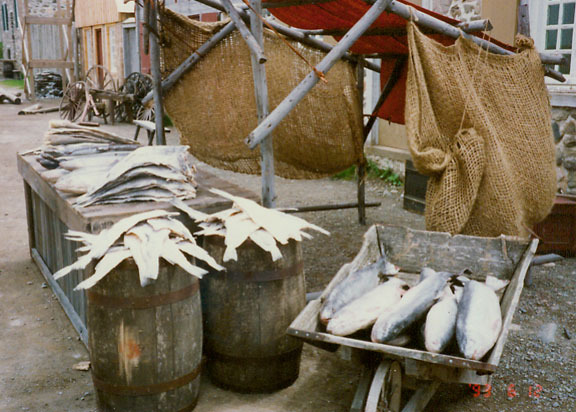 About 6,000 production workers were employed in fish-processing plants in 1990. In 1992 the fish catch was 493,000 metric tons and was valued at C$512 million. 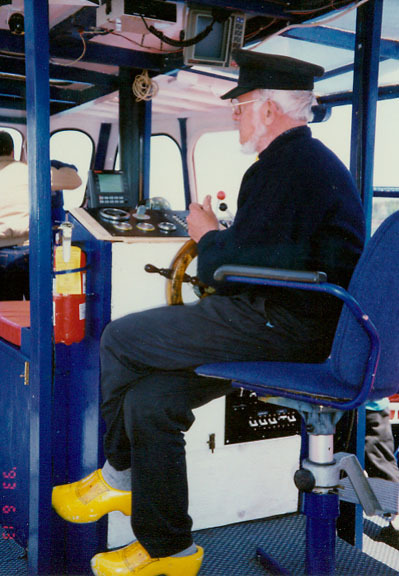 Following that year, however, codfish stocks declined drastically, causing the federal government to close the cod fishery from 1993 to 1996. 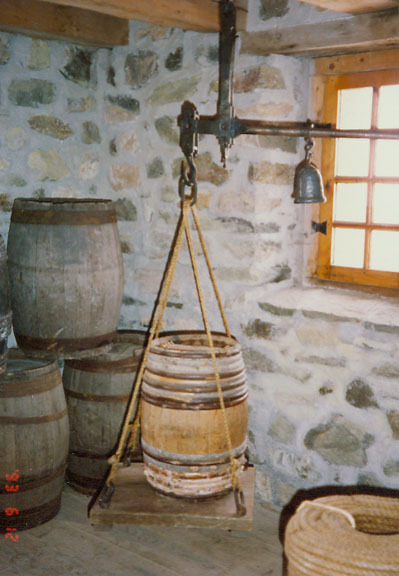 Nova Scotia and the other Atlantic provinces were hard hit economically by the closure. 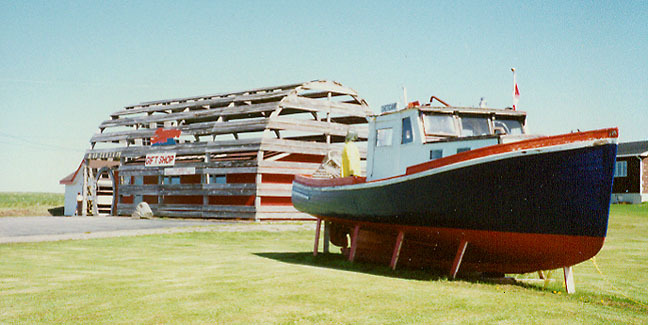 The fishery was opened again, on a limited basis, for the 1997 season. In 1998 the catch was 281,000 tons.